Have you ever wished for something that would consistently bring a smile to your face and make you forget your problems or anxieties? How about accepting our gift to you of an absolutely FREE, QUICK-TO-READ newsletter? One that is chock full of love, joy, and comfort. A day-brightener that will become a special present you’ll look forward to opening every Saturday. 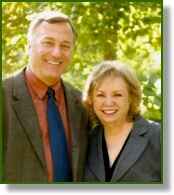 We are Allen and Linda Anderson, authors and founders of the Angel Animals Network. We are working to help people discover and benefit from the miraculous powers of animals. We're inviting you to subscribe to the Angel Animals Story of the Week Newsletter and join a worldwide community of animal lovers. The powerful stories in this unique publication warm the heart and offer a timely vision of spiritual wonders for a world sorely in need of them. Each week, thousands of people from over 40 countries look forward to reading the fascinating stories contributed by our readers about the human/animal spiritual bond. They join together in celebration of the gifts animals, as spiritual partners, bring to all our lives. Click here to be on our mailing list or send a blank e-mail to AngelAnimals-on@mail-list.com to automatically receive your free Angel Animals Story of the Week Newsletter. Visit http://archive.mail-list.com/angelanimals to read past editions of the Angel Animals newsletter. And please pass this invitation along to your animal-loving friends. They’ll thank you for it. "Signet has found its entry in Angel Animals, a September 1999 release about the spiritual lessons we learn from our pets by Allen and Linda Anderson, a Minneapolis husband-and-wife team who publish The Angel Animals Newsletter [online] on the subject." "Among the stories that have appeared in the Minneapolis newsletter, Angel Animals, which examines spiritual lessons taught to humans by animals: A Rabbit Helped Me Take My Next Spiritual Step, Learning Patience from My Cockatiels." "Combining America's love of pets and angels, Allen and Linda Andersons launched Angel Animals Network (Minneapolis), featuring tales of spiritual truths and lessons animals teach us in their Angel Animals Story of the Week Newsletter." "A sample of the Angel Animals [online] newsletter contained stories from purely fun to serious. I was especially touched by tales of people's experiences with their sick and dying pets, and the ways their grief was reconciled. Considering how we feel about our pets, their passing-and our ways of dealing with it-are sorely neglected topics in contemporary writing, I think." Angel Animals™ Network Copyright © 2002-2014. All rights reserved.